Damon Robinson Contact: +34 644257027, eko@eko.cat. Damon Robinson singer, songwriter, musician, energetic soulman, and finalist in the Spanish version of the popular talent program “The Voice” (La Voz) has written songs for Universal Music and was vocalist with Hammond great Mauri Sanchis, the Spanish funk band Funkdacion, with whom he has recorded two studio albums, and flamenco guitarist Juan Carlos Guadix. Robinson has shared billing with international artists to the likes of Spanish superstars Alejandro Sanz, jazz greats such as The Yellowjackets and Chuck Loeb in many of Europe’s finest music festivals. 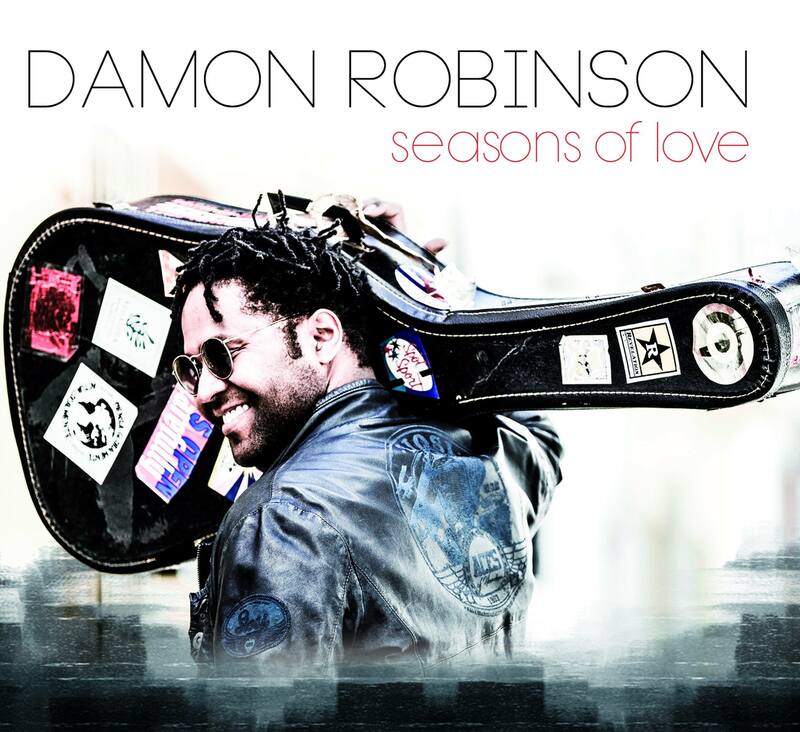 Robinson, whose powerful vocals were developed as a boy in California singing gospel at church, is currently promoting his first solo release the eclectic pop/rock/folk/hiphop/soul and jazz tinted album “Seasons of Love” and tour. Damon Robinson has colaborated in three hiphop albums with Hazhe, Shotta, Toteking, Capaz, C’mon and other very important singers and bands relationed coming soon this year. Damon Robinson Big Band are Jacob Sureda, Pablo Padilla, Popi, Mario Alonso, Aure Ortega, Eli Hernández, Carlos Muñoz, Rafa Hernández, Jose Vera, Alejandro Requelme, Loli Diaz and La Big Band de Atarfe. A spectacular tribute to soul and jazz music accompanied with the force of a Big Band of 25 musicians. Damon talks about personal development, motivation and education. These cheerleaders talks up about messages of his music. Ideal for conferences, institutes, colleges, congresses and companies looking for something special. A simple and economical concept designed for any type of event or space with a repertoire of original music of the artist and versions of various styles such as jazz, soul, pop, blues, R & B, house, dance, etc.